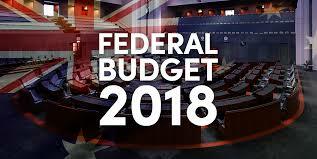 The 2018 Federal Budget has been delivered and responded to by Labour. The main issues with this budget is the potential tax cuts on the table for next year and progressively over the future years out to 2024. A cost of living budget perhaps, an election budget maybe, a growth budget for Australia ... not likely. There were some tough ATO compliance measures thrown in, in which may go under the radar, until the details are released closer to the time. Below is our summery on the major areas. A seven-year Personal Income Tax (PIT) Plan will be implemented in three steps, to introduce a low and middle income tax offset, to provide relief from bracket creep and to remove the 37% marginal tax bracket. From 1 July 2018, the top threshold of the 32.5 per cent PIT bracket will be increased from $87,000 to $90,000. The 2017-18 Federal Budget measure to increase the Medicare levy from 2 per cent to 2.5 per cent of taxable income from 1 July 2019 will not proceed. A low and middle income tax offset (LMITO) will be introduced as a non-refundable tax offset of up to $530pa to resident low and middle income taxpayers from 2018-19 to 2021-22. The MITO will provide a benefit of up to $200 for taxpayers with taxable income of $37,000 or less. For taxable incomes between $37, 000 and $48,000, the value of the offset will increase at a rate of three cents per dollar to the maximum benefit of $530. Taxpayers with taxable incomes from $48,000 to $90,000 will be eligible for the maximum benefit of $530. For taxpayers with taxable incomes from $90,001 to $125,333, the offset will phase out at a rate of 1.5 cents per dollar. The LMITO will be received as a lump sum on assessment after an individual lodges their tax return. The benefit of the LMITO is in addition to the existing low income offset. The calculation for entities claiming the R&D tax incentive will change commencing for income years beginning on or after 1 July 2018. Also, a maximum cash refund for "smaller" R&D claimants will be capped at $4 million per financial year. A "smaller" R&D claimant is an entity with aggregated annual turnover below $20 million. The small business capital gains tax (CGT) concessions will no longer be available to partners that alienate their income by creating, assigning or otherwise dealing in rights to the future income of a partnership. The measure applies from 7:30pm (AEST) on 8 May 2018 for small business CGT concessions in relation to the assigned rights. From 1 July 2019, the concessional tax rates available for minors receiving income from testamentary trusts will be limited to income derived from assets that are transferred from the deceased estate, or the proceeds of the disposal of investment of those assets. From 1 July 2019, expenses associated with holding vacant land will no longer be tax deductible. This measure is to ensure no deductions are claimed for vacant land that is not genuinely held for the purposes of earning assessable income. For a further 12 months until 30 June 2019, small businesses with aggregated annual turnover of less than $10million may continue to immediately deduct purchases of eligible assets costing less than $20,000 first used or installed ready for use by 30 June 2019. Some assets are ineligible e.g. horticultural plants and in-house software. Managed investment trusts (MITs) and attribution MITs (AMITs) will be prevented from applying the 50% capital gains tax (CGT) discount at the trust level. This measure will apply to payments made after 1 July 2019. New and existing self-managed superannuation funds (SMSFs) and small APRA funds will be allowed to have a maximum of six members from the 1 July 2019. Currently, the maximum allowable number of members in an SMSF and a small APRA fund is four. The annual audit requirement for self-managed superannuation funds (SMSFs) will be changed to a three-yearly requirement for SMSFs with a history of good record keeping and compliance, i.e. for SMSF trustees that have a history of three consecutive years of clear audit reports and timely lodgements of the fund’s annual returns. This measure will commence on 1 July 2019. The government will consult with stakeholders to ensure a smooth implementation of this measure. A 3 per cent annual cap will be introduced on passive fees charged by superannuation funds on accounts with balances below $6000, and exit fees on all superannuation accounts will be banned. The exemption will be available for 12 months from the end of the financial year in which they last met the work test. Existing annual concessional and non-concessional caps ($25,000 and $100,000 respectively) will continue to apply to contributions made under the work test exemption. Catch-up concessional contributions also remain permissible during the 12 months. The TPRS requires businesses to report to the ATO any payments made to contractors during an income year. This additional reporting to the ATO is in the form of an annual report, for which the first annual report will be required in August 2020. Please remember that the reporting requirements for cleaning and courier industries commence 1 July 2018. Offshore sellers of hotel accommodation in Australia will be required to calculate their GST turnover in the same way as local sellers from 1 July 2019. Currently, unlike GST-registered businesses in Australia, offshore sellers of Australian hotel accommodation are exempt from including sales of hotel accommodation in their GST turnover. This means that they are often not required to register for and charge GST on their mark-up over the wholesale price of the accommodation. For more information on how the budget will impact you, your family or organisation, please contact Ian Walker at Archer Gowland on 07 3002 2699.